OK for us to upload to our website? Nami! Long time no see! Thank you so much for taking care of me during my visit to New York. It was very helpful that you helped me compose a letter to Bon Jovi very quickly. I also had a great time at Rockefeller Center, the Brooklyn Bridge, Tiffany’s and all of the other places you took me. I really appreciate your efforts. Thank you so much. If you are going to New York and run into any obstacles I recommend you contact Nami. She is a great problem solver and will definitely help you have a productive business trip. Thank you for accompanying shopping goods with me on the other day. 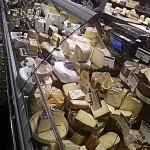 I could go many stores efficiently as you researched and arranged well. Lobster roll for lunch you took me was very delicious! I will ask you again. Thank you. Nami, thank you so much for your hard work. Because setting up the lease went so smoothly, I was able to start work immediately. I shall definitely hire you again the next time I need your help. I came to New York to explore the possibility of selling my newly developed massage technique in the U.S. I found Nami online and immediately contacted her. She responded to me right away and her caring attitude earned my trust immediately. I asked her to provide translation services and to attend a meeting with me. She always responded to me right away and I plan on hiring Nami again on my next trip to New York in the spring of next year. Thank you for showing so many office spaces in Manhattan as well as New Jersey for more than six months. Thanks to your hard working, we finally find office space we like. Thank you so much for your service while we were in New York. It must be very hard to attend to a family who’s ages vary by more than 70 years! 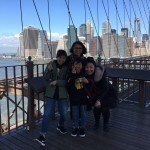 My children were exhausted when we visited the museums due to the time difference and they slept during dinner, however they really enjoyed their trip to New York City and wanted to return as we went on our Caribbean cruise which amazed me. I believe that they will remember this trip for the rest of their lives. Rico, 4 years old, was amazed by the Planetarium. 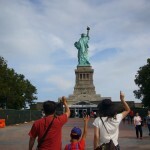 Natsuki, 10 years old, enjoyed the Museum of Natural History and Takanari, 14 years old, was moved by the Statue of Liberty. My wife and mother enjoyed shopping at the Chelsea Market. For myself, I was unable to find property to purchase during this trip, but I am looking forward to returning to New York to find something suitable. After New York, we enjoyed our 7 night/8 day Caribbean cruise. Although my children got tired once in a while, it was a wonderful summer. I was deeply impressed by Nami’s flexibility in accomadating such a diverse group. I shall definitely ask her to be our guide again! Sightseeing in New York with my first grade son. I was nervous prior to departure that my son would be too tired from the flight and time difference. Nami adapted our plans to suit the circumstances and we still managed to visit all 20 places that we wanted to see. We are very ambitious travelers! Thank you for coping with the difficult schedule of early mornings and late nights and always keeping a smile on your face. We made wonderful memories. Thank you! If we ever return to New York, we shall definitely hire Nami again. Thank you for taking care of us for 3 days. It was a great opportunity to experience the heart of true New Yorkers by interacting directly with them through Nami. We met all kinds of New Yorkers and a particularly meaningful moment was when a homeless person asked us for a cigarette. Thank you for helping us accomplish our goals. I will definitely ask you to be our coordinator again when we return to New York. Please take care of yourself until the next time we see each other. I asked Nami to show us the Statue of Liberty. She was very hospitable and took care of all of the details and we had a great time. Nami’s energy and love of life was fantastic. I shall definitely use her again the next time I am in New York. I hired Nami for 2 days as an interpreter at a food show and also helping me to do marketing at Whole Foods. I am very happy with her as she gave a good impression to the person in charge and she is very nice and friendly as an interpreter which is very important for business. At Whole Foods, she arranged a meeting with the person in charge of each food department, so I was able to learn which products are currently selling well. Additionally, when I asked her to take me to art galleries during some free time, she researched different galleries and found ones that were displaying the work of Japanense artists. The trip was very useful to me for business and pleasure. Also, she accomponied me to dinner which was very helpful since I do not speak English. Thank you for taking care of me on the other day. Although I did not know any English nor direction, I achieved well my purpose to visit New York. 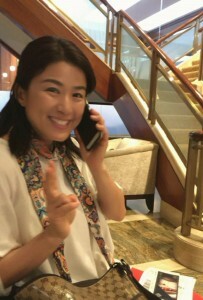 I achieved great result, as Nami supported me for Not only sightseeing, but also support my business like my secretary. It surprised me as she even called and mailed me during her off time. 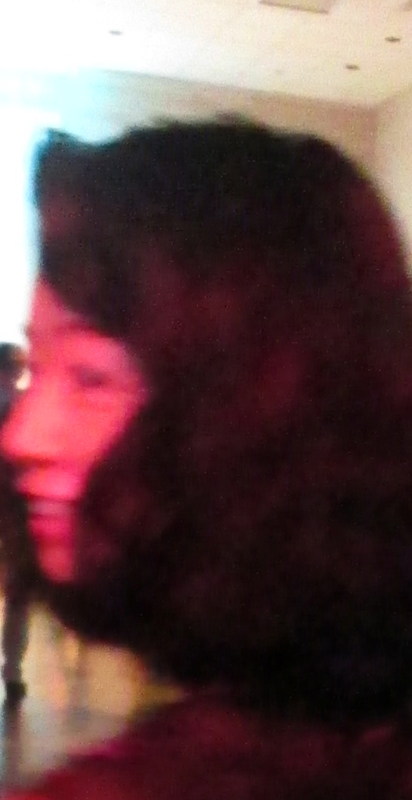 She was very kind and nice.｜ Support for settling down in New York. Despite providing short notice, Nami was able to respond with detailed information. She was pleasant and calm and her information was very useful to us. My daughter was also very happy to meet her as she was very kind and nice. It makes me feel better that if anything happens in New York, I can depend on Nami. Nami,thanks for helping to find office space for 6 months. She showed me office spaces so many times as I could not compromise too much although I do not have credit history in USA with limited budget. Thank you for your patience, and due to your hard work, I finally received a contract for a office space I like. I would ask you to help me again in the future. 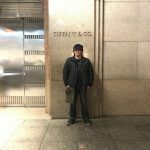 June 2017 Resident of New York, Self employed, Mr.S.T. 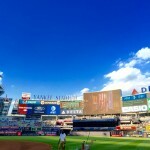 Thanks to Nami’s effort and persistence, I was able to see Tanaka pitch for the New York Yankees against the Boston Red Sox, which was the main reason I took a trip to New York. Without Nami, my trip would not have been as much fun. I really appreciate everything she did for me. Seeing New York City at twilight was incredible, but in my opinion, Nami was even more beautiful. Nami, go for a trip once in a while to refresh yourself. I am thankful for all of your help. To our popular staff, Ms.Keiko! 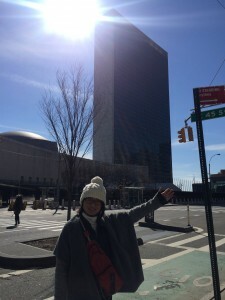 I arranged airport pick-up at JFK, hotel check-in and a half-day tour with a member of Nami’s staff – Keiko. 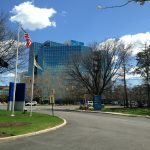 Nami provided the details about our trip so we were able to take full advantage of our short stay in New York. We are grateful that Keiko prepared flowers for us to give to colleagues who had perished during 9/11 and she stayed with us during the visit. Because she taught us how to use the subway, we walked and used the subway instead of expensive taxis. I watched a baseball game at Yankee Stadium, watched a Broadway musical and enjoyed listening to jazz in a real New York jazz club. The last day of our trip was the 50th anniversary of the New York Metropolitan Opera at Lincoln Center. We were too shy at first to wear formal attire but Keiko advised that we should do so and we were glad that we did. It was like a dream that we were able to see our son’s work at the Metropolitan Opera while wearing a tuxedo and evening gown in New York on our 25th Anniversary of marriage. We were able to take full advantage of all that New York has to offer because Keiko was there for us on the first day of our trip. I am very thankful to her and Nami. Thank you so much for teaching us so many new things. My daughter likes you very mucy. In the future, I might come to New York to learn dance. If I decide to do so, we’ll let you know. Thank you for the compliment. I do dance well! I want to learn more about America! We really like you and if we return to the US, we will hire you again! Because of you, we had a great trip. Thanks again for your help. Since I do not speak English, I would normally join a Japanese language tour when I travel by myself. This trip, I asked for a private guide for the first time. I chose Nami based on her outstanding client reviews. I went everywhere I wanted to go including food markets, restaurants, kitchenware shops, jazz bars, musicals, art galleries and a yakitori restaurant. Nami and I traveled everywhere by subway like real New Yorkers! The subway is the most efficient and least expensive way to travel in New York City. I went for a walk through Central Park by myself in the morning with confidence since I knew if I had a problem I could ask Nami for help. On my last day, we went on a sunset cruise and when I saw the sunlight reflect off of the Statue of Liberty, it was so beautiful that I cried. It was a great 5 days. I was completely satisfied. Thank you so much. The American Dream definitely suits Nami. If I am ever feeling down and need to be energized, New York City will be my destination! 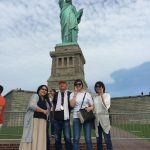 We had a great time!| Private Guide Since none of us spoke English, we asked Nami to be our guide for 2 days. She was very polite when we first spoke and when I met her in New York, I found her to be easy to talk to, friendly and cheerful. She was very flexible and was able to accomodate all of our individual needs. We had a great time and we were never anxious about being overseas. She looks more beautiful than she does on her website. I understand that she used to be an air hostess. We also enjoyed listening to her experiences about living abroad and visiting many countries. We were very satisfied with the restaurants she took us to. They were all delicious. If we come back to New York, we shall definitely ask Nami to be our guide. I was able to have a very memorable few hours while I was in New York City. I was taken to popular sightseeing spots and fashionable souvenir stores with very little time. It was a wonderful experience and I would definitely hire Nami again. Thank you for your kindness and politeness while taking me to a great sightseeing spot in New York City during your busy day. She made me feel like NY was my hometown and she truly gave me exceptional service. I would definitely hire her again if I come back to New York. Thank you very much. 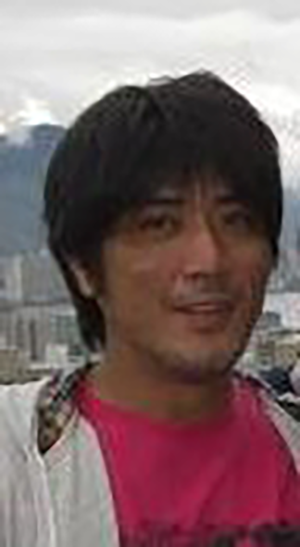 Mar.2017 Residence of Nagoya,Office worker, Mr.H. This was my third trip to New York. Normally I bring a translator from Japan since I do not speak English very well, but my regular person was busy so I found Nami online. The reason for my trip was a 2 day event that required I discuss future projects with friends from the US and Australia so a translator was required. The project involved long hours starting early in the morning and lasting until midnight so I was pleasantly surprised when Nami accepted the job. Thanks to Nami, I was able to convey my ideas which will lead to continued future conversations and she took us to quick sightseeing, shopping and dinner at limited time during event. She also took us sightseeing, shopping and to dinner when we had breaks during the event. Nami was able to pick sightseeing and shopping spots for us with short notice. 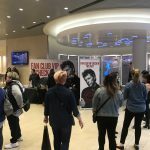 I was amazed at the amount of attention she was able to give us and the detailed planning she did. The next time I am in New York, I’ll definitely hire Nami again. I feel very fortunate to have met someone as professional and pleasant as Nami. I have been visiting New York every year for the past ten years. This time I retained Nami to be my coordinator to do work for me and to introduce me to trendy spots that were new to me. She did a perfect job. She was well prepared and flexible whenever my plans suddenly changed. In addition, she even took care of things on my behalf after I left New York. I will definitely use her again. My only concern is that she might be too busy to work for me since she has received so many positive reviews like this one! This was my first time in New York and Washington DC with close friends. We hired Ms. Yamaki to attend. Her ability to coordinate the logistics of the trip and her personality and attentiveness were exceptional. She was definitely a 5-star level tour guide.Thank you so much for organizing such a fulfilling 2 days. I guarantee that you be more than satisfied with coordination services when you visit New York. 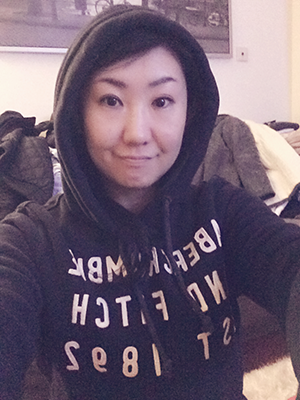 My daughter, who is a university student in Vancouver, started to feel sick with a sore throat and a high temperature as soon as she arrived in New York for a holiday. She could not eat or drink water and she called me in Japan saying, as she cried, that she was in so much pain she just wanted to go back to Japan. 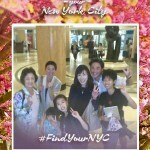 I needed to find someone in New York who could help her which is how I found Ms. Yamaki. She understood the situation right away, made a doctor’s appointment for my daughter, picked her up from her hotel and accompanied her to the pharmacy and the grocery store to buy medecine and food. Ms. Yamaki also called me to give me a detailed report on how the treatment went. 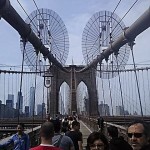 Thanks to Nami, I had a great tour of New York that included historical architecture and real estate. She also found me an excellent hotel. I asked Nami to provide me with a very detailed tour and she did just that by using her wide range of knowledge about New York City. Her planning and explanations of things were detailed. It was my first visit to New York and I was able to do everything I wanted to do worry-free. Nami, put together a very thorough plan to show me real estate properties that I was interested in with only a limited amount of time to see everything. We walked everywhere and my Smartwatch indicated that we walked 32,000 steps each day. I asked Ms. Yamaki to provide translation services when we did interviews in New York about the US election. However, she did much more than I requested. 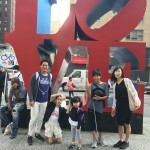 I was only going to ask for simple translations when I interviewed New Yorkers on the street, but Ms. Yamaki’s staff went beyond that by scheduling interviews for me by using their connections and their knowledge as a guide in New York. Their diligent work was professional, they didn’t ask for any breaks and they did research on my behalf without being asked. I was a bit concerned when we met her staff in their small office but they took care of me and my team and attended to all of our needs just like a large translation agency. I will definitely hire her again the next time I come to New York. Nov.2016 Resident of Tokyo,Office Worker (TV), Mr. T.N. It was our first trip to New York City. I found Nami’s website while doing a search for someone would could provide me with information about New York City. 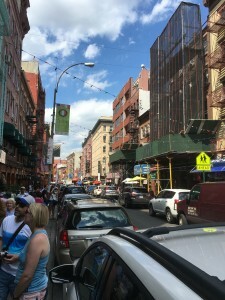 We came to NYC to go to restaurants, see the architecture and experience the way New Yorkers live.We preferred walking over taking a tour bus and Nami gave us advice on the best ways to get around the City including best places to walk, how to purchase subway tickets, how to experience the true character of New York and safety tips. 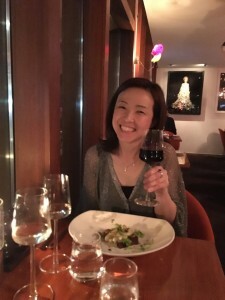 In addition, Nami booked us a table at a live jazz club. Everything went well as we had expected after looking at Nami’s webpage and reading client reviews. Thank you so much, Nami!June 2016 Residence of Kanagawa,Restaurant business, Mr.M.S. I hired Nami to provide support for my daughter who was moving to New York to study. My daughter was concerned about living abroad by herself but as part of Nami’s service, they communicated over Skype and email before the move which made her less anxious when it came time to relocate. She was so happy with the way Nami took care of her including picking her up at the airport, finding her an apartment, purchasing furniture and taking care of all of the necessary tasks to start her life in New York smoothly. Nami always responded promptly and made us feel at ease. I strongly recommend that parents with a child moving to New York to study, hire Nami to help with the transition. I asked Nami to be my guide for my first trip abroad. I was very anxious at first but her kind emails put me at ease. She suggested many sightseeing ideas based on my wishes and put together a great one-day plan in New York City. She also advised me on what to wear and provided me with some common sense tips on staying safe in New York City. Thanks to Nami, I had a great day in New York City. She was very attentive and told me many interesting stories about New York history and her personal experiences in New York. She made my first trip overseas a fulfilling experience. I am so happy I met Nami. She was very nice and has a good heart. I really think that Nami made my trip special and I shall definitely come back to New York again and I shall definitely hire Nami again.Feb. 2016 Residence of Oakayama, Student, Ms.M.M. I have visited New York City several times. 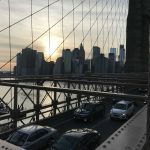 This time I wanted to see New York from a different perspective so I asked Nami to arrange a real estate property tour which is something that has always interested me. Nami is an experienced real estate broker in New York City so she was able to give me an insider’s point of view. She also made New York City come alive with her humorous observations on the local customs, food culture and diverse neighborhoods. The tour Nami coordinated allowed me to gain insight into the full range of New York City property prices from less expensive spaces to the high end part of the market where celebrities live. The whole experience made me want to buy property in New York City in the future. I’ll definitely return to New York City and I’ll definitely ask Nami to coordinate my trip! I am a Japanese businessman currently based in New York City. When my Mother told me that she would be visiting with some friends during a particularly busy time for me, I thought it would make sense to hire a private guide to show them the City during the day. I am so glad that I did. 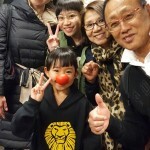 My Mother was thrilled with the experience and really appreciated Nami’s attention to what she and her friends wanted to see and do. Dec. 2015 Resident in New York City, Mr. D.M. I originally engaged Nami for a 1-day fact finding tour of the New York retail fashion scene in order to explore the possibility of establishing a retail presence in New York City. Nami proved to be so helpful in showing us popular clothing stores and making introductions to wholesalers that I ended up staying for 3 days. Some of the wholesalers I met have become suppliers to my Osaka store and I plan on returning to New York City next year to grow those relationships and to work with Nami to find new ones as well as a location for my New York outlet. I needed a last minute Japanese/English translation resource after one of my English-speaking employees was not able to make an important lunch meeting at the last minute. Fortunately, I found Nami online and she proved to be both competent and hospitable and helped make this first meeting a success. My girlfriends and I did not have much time and wanted to do some shopping and sightseeing efficiently. In order to do so, we engaged Nami as our private guide. Of course, sometimes we had differing opinions about what we wanted to do, but each time Nami proposed something we always had fun. One particularly memorable activity was a trip to the Diamond Wholesale District. Not only was this not in the guidebook… Nami used her bargaining skills to negotiate a great price on a necklace that I bought. Thank you so much for 3 days of hard work. We shall definitley hire you to be our guide on our next trip. 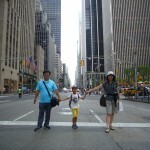 While my cousins were in New York City, I was unable to give them a tour of the city due to work responsibilities. For that reason, I arranged a private guide for them. It turns out that Nami, the guide I selected, was not only able to show my cousins the sites, she was also able to show them residential properties. This was a pleasant surprise and well beyond the skillset you would get with a regular private tour guide. It has become their dream to buy a condominium in New York City, so they are already planning a trip to New York City next year. We’ll definitely retain Nami’s services again. Nami, thank you for taking such good care of me for 2 days. Nami took me to many places during her gourmet food tour of New York City. We walked around trying different kinds of foods from all over the world. I ate so much, I could not move afterward. I think that during the tour, I found the Union Square Green Market to be the most interesting. It was definitely something new. Next time, please arrange a local beer tasting tour for me!